This conference took place on 26 April 2017. The regulation of financial services is now stricter than it’s ever been and political uncertainty in the UK and Europe is creating greater instability in the market. ICSA’s offshore jurisdiction events are designed specifically for company secretaries and governance leaders. This year's Guernsey conference takes on the theme of ‘Securing the Future’ and considers the important role that GRC professionals have to play in steadying the ship during times of great risk and uncertainty. This conference aims to provide delegates with the tools to approach the coming year with confidence and an opportunity to reflect upon the value of governance. Taking minutes of meetings is administrative good practice. It creates a record of what has been agreed, and by whom; and of what is to be done, by when and by whom. This session takes a look at the ICSA’s most recent guidance including background on the public consultation findings which led to its development. What does the future hold for the Annual General Meeting? Is it still of practical use or is it a costly anachronism? What are the alternatives? Could electronic AGMs be a model for the future, or should we replace the AGM with something else entirely? Guernsey has fought hard to earn its reputation as a trusted place to do business. This could all be lost in the event of large scale cyber security failure. This practical workshop will help you to assess and benchmark your cyber strategy, takeaway learning on current threats and prepare for future risks to make sure your cyber security is air tight. In response to various financial services sector crises, companies must now collate Know Your Client data and institute Client Due Diligence (CDD) procedures. With new reporting requirements also in place, companies are receiving, processing and storing vast amounts of highly confidential data. It makes sense that many have looked to technology to ease the pressure. In this session, find out more about one such technology solution. Are you maximising your skills in the workplace? One of the best ways to climb the business ladder is to increase your value as an employee within your company. This interactive workshop explores how company secretaries and governance professionals can make more of their current roles. Examine the traits of a valuable employee and find out how best to demonstrate your worth. On 12 July 2016 the States of Guernsey made a commitment, by way of an Exchange of Notes between the Governments of the UK and Guernsey, to create a central register of beneficial ownership of all legal entities incorporated in Guernsey, by 30 June 2017. In this session, find out more on the steps being taken and your role in ensuring a successful implementation. Brexit: what does it mean for Guernsey? The Prime Minister has given assurances that Guernsey will remain engaged and involved in the process of the UK leaving the European Union. Almost a year on from the UK referendum, we examine the effects of this decision on our island, the progress so far and discuss what the Brexit route map is looking like for Guernsey. Tim created the ID Register and is Director of Ipes Investor Services trading as www.theIDregister.com. Tim’s interest in fintech, started early in his career at Kraft Foods and at the legal firm Mourant. Since joining Ipes he has been responsible for the development of new services including a market-leading AIF Depositary, FATCA and CRS Compliance and Fund Governance. These are underpinned by Ipes’ core system www.CapitalTracker.com, the creation of which he led in 2010. Tim acts as FATCA Responsible Officer for a number of clients and is an Authorised Person in the UK and Channel Islands. Tim holds a Masters degree in Economics and Management from University of Oxford, is a Chartered Director, Fellow of the Chartered Institute of Management Accountants and is PRINCE II qualified. In his spare time Tim enjoys running, swimming and participating in triathlons. Guernsey born and educated, prior to joining the Registry as Registrar of Companies in March 2011, Alan has over 20 years’ experience working in the Guernsey financial services industry, predominantly in deposit taking. He achieved his UMIST BSc (Hons) in Financial Services through the Guernsey Business School and his Bournemouth University MSc in Corporate Governance through the GTA University Centre. He is also a Chartered Director. Alan is a former Chairman of the Association of Guernsey Banks, former Deputy Chairman of Guernsey International Business Association and a former Trustee of the GTA University Centre.  In January 2017 the Policy & Resources Committee and the Committee for Economic Development put forward a Policy Letter proposing that The Registrar of Companies be appointed as the Registrar of beneficial ownership information for all forms of legal person that can be established in Guernsey. For ten years until 2014, Chris was Director of Corporate Governance at the UK’s Financial Reporting Council. He was responsible for developing and promoting the UK Corporate Governance Code – one of the earliest and most influential codes for companies. The practices he introduced include board effectiveness reviews and public reporting on the management of significant risks. Chris was also responsible for introducing the first national stewardship code for investors in the UK in 2010. Similar codes have since been introduced in many other countries. More recently, Chris was the FRC’s Strategy Director and was responsible for developing their overall strategy for 2016–19. He established, and chaired for eight years until 2015, the European Corporate Governance Codes Network. Chris has also worked with bodies such as the European Commission, OECD and World Bank in advisory roles, and is a regular presenter and moderator at international conferences. Born in Guernsey, Jon was brought up speaking the local Norman French as his first language. Graduate and post-graduate studies in French, Music, Philosophy and Theology took him to London and Paris. He also qualified in accountancy and for a time worked in London for HMRC in tax fraud investigation. Returning to Guernsey Jon was ordained as Senior Minister of the Church on Rock in 1989, a role he served in for over 25 years. He is still actively engaged there as well as with several local and international third sector organisations. During 4 terms in Guernsey's government, Jon has served in various capacities including Home Affairs Minister, Deputy Treasury Minister, Deputy Chief Minister and then Chief Minister in the last assembly, he now holds the newly created External Affairs role. Jon qualified as a solicitor in 1998 with the City firm Theodore Goddard. In 1999 he joined the UK Government Legal Service where he worked as a legal adviser for several different government Departments, including the Ministry of Defence and HM Revenue & Customs. In 2007 he moved to Guernsey where he joined the Law Officers as a legislative counsel. He qualified as an Advocate in 2011 and was made Director of Legislative Drafting in 2016. David is one of the founding directors of DMJ and has specialised in the recruitment of company secretaries since 1999. David is one of the most respected consultants in the company secretarial recruitment market and has placed company secretaries into many of the UK’s leading businesses including FTSE 500 groups, limited companies, professional practices and financial services. David’s is retained principally on senior hires and executive company secretarial search. Rob Shapland is an ethical hacker with 9 years’ experience conducting penetration tests for hundreds of organisations, from small businesses to major international organisations. He specialises in simulating advanced cyber attacks against corporate networks, combining technical attacks with his other hobby of dressing up and tricking his way into company headquarters using social engineering techniques. He is also a regular speaker at events and conferences around Europe, and recently appeared on ITV as their cyber security adviser. He holds qualifications from SANS, Offensive Security and CREST, and has been trained in social engineering techniques by Chris Hadnagy, one of the world's leading practitioners and researchers. Dr Sloan joined the Commission in 2014 as International Policy Advisor and was appointed as Director, Financial Stability in April 2016, retaining his international policy brief. In addition to being responsible for oversight and assessment of risks to Guernsey’s financial stability and development of macro prudential policy and strategy, he also oversees the Commission’s international regulatory horizon scanning process. He leads the Commission's engagement with the European Commission through the Channel Islands Brussels Office which has included dialogue on AIFMD and MIFID II, and developed the engagement strategy on the EU's Capital Markets Union initiative on behalf of both Guernsey and Jersey whilst on part time secondment to the Channel Islands Brussels Office in 2015. Andy holds a PhD in macroeconomics and was the island's government's Chief Economist and lead advisor on fiscal and economic matters to the Policy Council from 2008 to 2013. During that time he led the successful 2012 defence of Guernsey's corporate tax regime at the EU Code of Conduct Group on Business Tax. He has nearly a decade’s experience representing Guernsey to the EU and the UK government. Dr Sloan is a member of the States BEPs Working Party; a member of the Tax, Stability and Substance Group and the Financial Stability Committee. Peter is responsible for developing the profile of the Institute to members, regulators, policymakers, employers and other stakeholders by delivering thought leadership and lobbying campaigns aligned to ICSA strategy and promoting strong governance as the vital ingredient for success in organisations. Peter has 30 years' experience of the share registration industry, gained at Lloyds TSB Registrars and subsequently Equiniti and Equiniti David Venus amongst others. He is a member of the CBI Companies Committee, the QCA Corporate Governance Expert Group and the Shareholder Voting Working Group, as well as being an Alternate Member of the Takeover Panel and a past chairman of the ICSA Registrars Group. Susan has been Company Secretary of Smith & Nephew since 2009, having previously held senior company secretarial roles in Amersham, RMC and Prudential. Her experience covers board support, corporate governance, corporate transactions, risk management, share registration, listing obligations, corporate social responsibility, pensions, insurance and employee and executive share plans. Susan is a frequent speaker at conferences and seminars and sits on a number of industry working groups and is also a trustee of ShareGift, the share donation charity. She has a degree in Classics (Literae Humaniores) from Oxford University (Corpus Christi College) and is a Fellow of the Institute of Chartered Secretaries and Administrators. Dennis Tourish is Professor of Leadership and Organization Studies at the University of Sussex. He is the editor of the journal Leadership, and a Fellow of the Leadership Trust Foundation. He has published widely on leadership issues, and is the author of The Dark Side of Transformational Leadership, published by Routledge in 2013. Dennis has been interviewed frequently on TV about leadership issues, including by the BBC, ITV and Sky News. He is currently completing a project looking at hubris in the banking sector, and will be sharing some of his findings from this during his presentation. His interest in dysfunctional leadership was stimulated by growing up in Northern Ireland, where (unfortunately) he had the opportunity to observe it at close range. His presentation will discuss how we can spot dysfunctional leadership before it gains too great a hold on our organizations, and what we can do about it. Board Intelligence are the market leaders in board reporting, working with the FTSE 100 through to smaller private companies, and public sector organisations. We’re the only board portal provider helping boards improve the quality of their information as well as the efficiency of pack production through our unrivalled experience in the boardroom. We’re supporting fund administrators, corporate service providers and trusts in the Channel Islands improve their client experience and profitability by launching our Read & Manage solution. Whether you are looking for security, efficiency savings or simply to achieve paperless boardrooms for your clients, we can provide a tailored solution for you. BPP has been preparing students for the examinations of professional bodies for over 35 years. In the Channel Islands, BPP is ICSA’s Preferred Tuition Partner and we offer ‘face to face’ and ‘online recorded’ courses for IFA Level 4, 5 and CSQS plus ‘online live’ lecture courses for CSQS. Our award winning ‘online live’ courses allow students to attend scheduled lectures wherever they are located, and has proved incredibly successful as an alternative to our face to face classes. Our ‘online recorded’ study method utilises pre-recorded lectures which students have access to 24/7, right up until the day of their exam. The lectures have been recorded by our experienced team of tutors and are supported by our excellent study materials which include a study text, course notes, practice and revision kit and programmed mock exams. We also offer lifetime pass assurance which means that in the event of a student not passing their exam, they can re-sit their course, for free, until they pass. As Guernsey’s leading recruitment agency for permanent, contract and temporary recruitment solutions, we use insight and intellect to connect talented people with great businesses. Source are specialists in the recruitment of Company Secretaries and have been instrumental in the successful placement of many professionals locally over the years. We’re trusted by established global companies and smaller privately owned firms to find the people who will make a lasting difference, from graduates determined to make their mark, to top-ranking business leaders. We love what we do and our specialist Recruiters understand the role specifics and responsibilities of a Company Secretary and are perfectly placed to provide in-depth professional advice and guidance. For a totally confidential discussion please contact Tony@source.gg orSteve@source.gg, call 01481 701616 or visit www.source.gg. You are on the “Securing the future: Guernsey Conference 2017” page.